I’ve been playing video games for decades now, ever since I was a little kid during the NES era (when most games were insane). I don’t consider myself an elite gamer, but I’ve played an awful lot of video games so far in my life and so it’s safe to say I’m a veteran player! I remember hating some of those old games as a kid, like Ghosts ‘n Goblins on NES. My dad beat that game, but I was never able to back then. These games were designed to be super hard to offset how short they were due to hardware limitations at the time, though. Stuff like this may well be the reason why I grew up to dislike extreme difficulty, but it’s also partly just common sense. Video game difficulty is still a huge and polarizing issue today. I may be a veteran player, but you’d be surprised how often I still see poorly designed stuff, even in games by the big, professional video game companies. Some players like their games hard, some like them brutally hard, and some like their games to actually be playable. Making all of these groups happy can be tricky for a game developer. There are a few major types of difficulty out there in video games. There is fun difficulty, there is punishing difficulty, and there is also artificial difficulty. Fun difficulty is when a game is challenging and makes you want to keep playing until you overcome that obstacle. 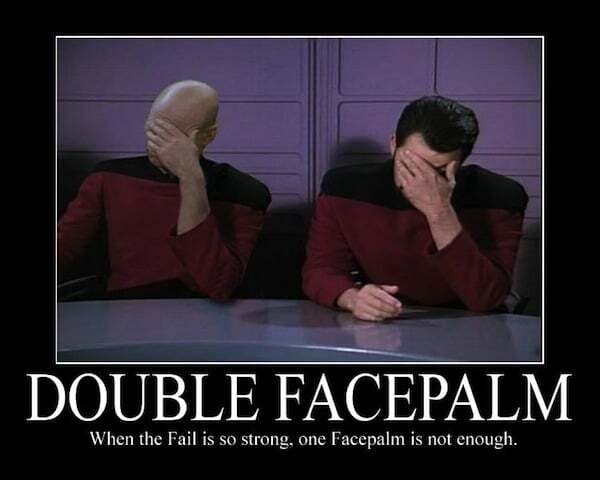 Punishing difficulty is when a game punishes the player excessively for messing up. Rogue-likes are well known for their punishing difficulty. And lastly, artificial difficulty is difficulty that is added on top of the level itself by other mechanics. For example, in the NES and SNES days, many games gave you a limited number of extra lives or continues. Those extra constraints artificially increase the difficulty of the level(s) that you’re playing. It should be noted that these are not absolute terms though, as everyone is different. So what one person finds easy might seem horribly brutal to another player. The Extra Credits YouTube channel has a video on difficulty in video games, and tons of other videos on game design among other topics. A game should not make you feel like this guy!!! Players come in a huge variety of different types. You could divide them by what genres they prefer. In the case of difficulty in video games players differ in some other very important ways. They differ in their experience level at a given game. This is separate from how good a person is at video games in general, as a person who is good at games in general could be really bad at a game that is unlike anything they’ve experienced before. The more you play a given game, the more experienced you get and the more tricks and secrets you uncover which improves your ability to be successful in that game. However, there is another major factor where players greatly differ. You could call it patience or tolerance, or maybe count them as separate things entirely. Some players have tons of patience, while others do not. As a result, a given challenge may cause some players to give up while others keep at it until they emerge victorious. This can start to generate some animosity on places like forums between skilled players and new players. The new players will generally want things toned down to more manageable levels, while the more skilled players will often want bigger and better challenges. Making both groups happy can be very tricky, but it is far from impossible. In a single player game it comes down to a matter of how well the game teaches its mechanics more than anything else. Multiplayer, on the other hand, is a completely different beast. You don’t want to perfectly balance it, though. For example, many multiplayer FPS games have an item that skilled players tend to dislike because it gives newer players a way to kill more skilled players with relative ease. This is not poor design though, because without it the game would become ruled by skilled players making it very difficult for new players to join (because they would get crushed repeatedly and quit playing). There are a number of games we could look at as examples. 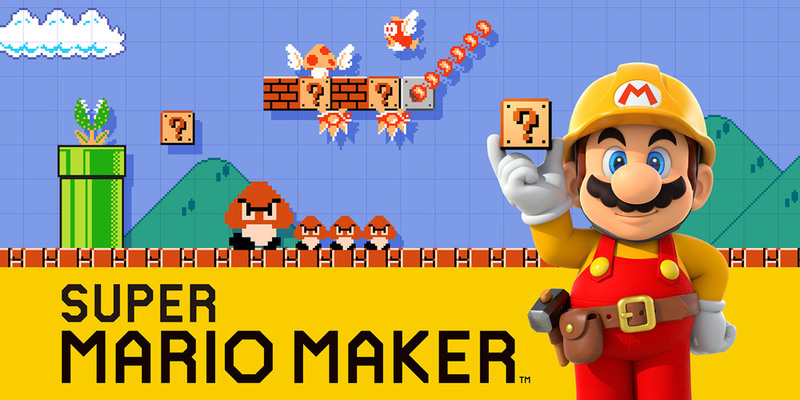 We’ll look at Super Mario Maker first just because it’s one of the most recent examples. Players of the game know that there is a huge number of bad levels out there. This can’t be helped as some are made by kids, some by people who are seriously trying to make good levels, and others by people who just want to make other players mad. This creates a very significant problem in the game’s 100 Mario Challenge mode, though. While the easy and normal difficulties are pretty easy to get through, they still suffer from the annoyance generated by the poorly designed levels. When you move up to Expert and Super Expert modes, the game starts to become a bit broken. These modes draw from levels with lower completion rates, but it feels like these modes need to be tweaked to draw from levels with a little higher completion rates. This would compensate for excessive difficulty and frustration generated by bad levels such as troll levels. I don’t have any issue with the fact that Nintendo decided to add a Super Expert difficulty level to 100 Mario Challenge mode, but there is one glaring flaw that drives me crazy. The addition of Super Expert mode does help Expert mode slightly, in that the worst levels end up in Super Expert mode now. The overall change in Expert mode is not very noticeable, though. So this has not fixed the original problem, and more importantly the designers made a very poor design choice with Super Expert mode when they decided to exclusively gate about 5 costumes behind that mode. This defeats the whole purpose of trying to fix Expert mode because now they are forcing players to play the worst levels anyway! Don’t get me wrong, I am not in any way saying that Super Mario Maker is a bad game. It is a great game, but it does have some serious flaws, especially if you’re a completionist or like a challenge that is well-designed. It’ll give you a heck of a challenge, but not a well-designed one. 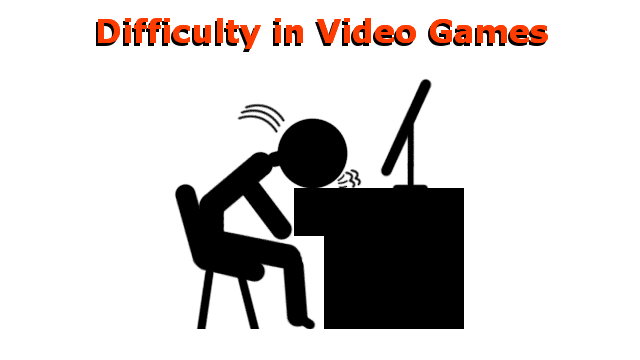 Difficulty can arise in video games for a plethora of different reasons. Another example is how the difficulty curve of a given game is constructed. It should start out gentle, and start to ramp up more and more as the player advances deeper into the game. On the other hand, some games have very steep learning curves. 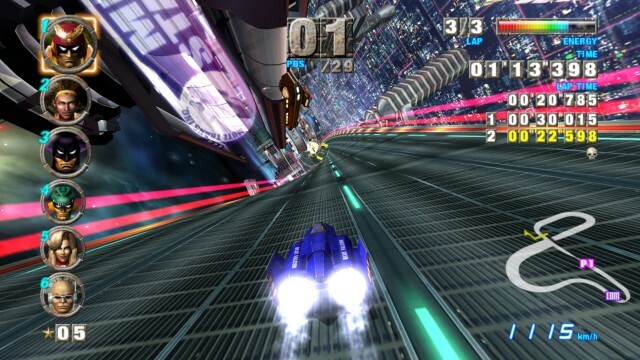 A good example of this is F-Zero GX, a racing game that came out on the Nintendo GameCube. The game had several different classes (or difficulty levels) you could race in, but it seemed like each time you mastered one class and moved up to the next one you’d get crushed again. It took a long while to adjust to the new difficulty and be able to compete with the AI consistently again. So it was as though the difficulty jump between each difficulty class in that game was too large. It was an excellent game, but one that I had a love/hate relationship with because sometimes it could be quite frustrating. This can also be true in simulation games like iRacing, or flight simulators, etc. These games are trying to be as realistic as possible, and flying a helicopter or driving a NASCAR stock car are things that require a lot of skill in real life, unless for some reason you want to crash into things. These types of games will often have some sort of an easier mode for players who don’t want the full 100% realistic experience. This makes sense because it can be overwhelming to new players who just want to get in and play the game. Some racing games opt for a much more arcade-style experience rather than being as realistic as possible, though. There are also even more ways difficulty can rear its head. Some people have disabilities such as color blindness. This can make some games impossible for them depending on the degree of color blindness they have. Some people may not have the same dexterity in their hands and fingers as the average person. Any number of diseases and disorders can cause problems like this, but that is a much harder issue to solve as a game developer. Developers can make special modes for color blind people, but it’s much harder to make a special mode for someone who just can’t use a controller like an average person can. Of course, a lot of disabled people are not gamers anyway, but some are. I made a friend named Tyler in November of last year (2015) who is a bit of a gamer. He can play video video games pretty well, even though he has some impairments because he was born with cerebral palsy. In the future, even completely disabled individuals will be able to play video games if they want. Technology already exists, albeit primitive, that allows some patients to control a computer using their mind alone. That will be an incredible technology as it gets further developed and eventually put into commercial products. Some of these people can’t speak or write, and so this will give them a way to communicate with the rest of the world as well.